Ms. “S” got the best of both worlds. She got a patio cover AND a screen room. 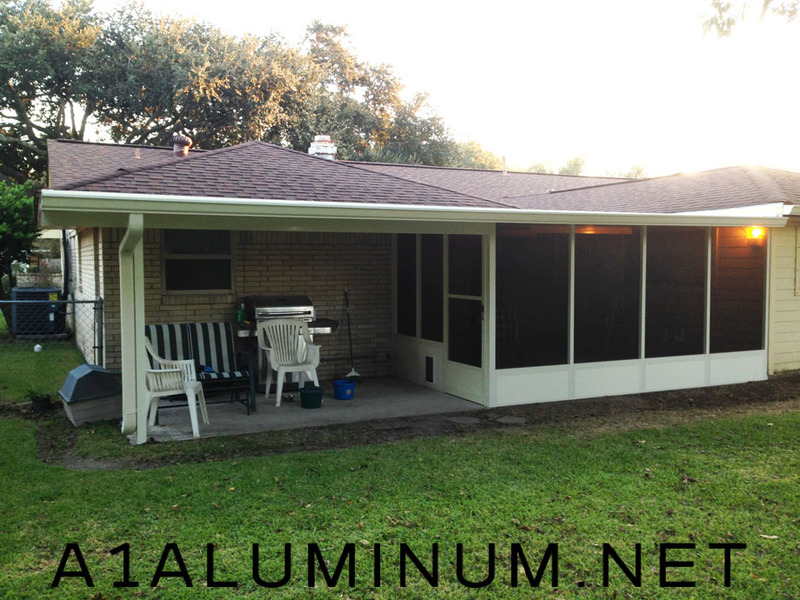 The roof on both is 3″ Insulated Aluminum. The screen wall is also insulated. We installed charcoal pet screen and house gutter. We also removed the existing fascia and installed new Hardi fascia.